In the previous posts we already mentioned the IHS Exhibition dedicated to the world of bathroom design that is held twice a year in the German city of Frankfurt an Mein. This exhibition always has something amazing to show us, and this spring was not an exception. 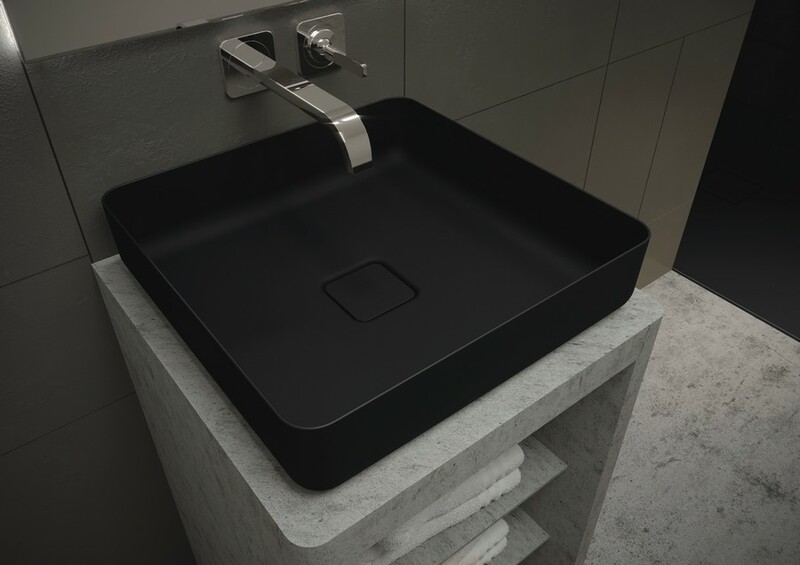 We decided to show you the best exhibits of the fair and suggest that we start from new designs and functions in the segment of washbasins. 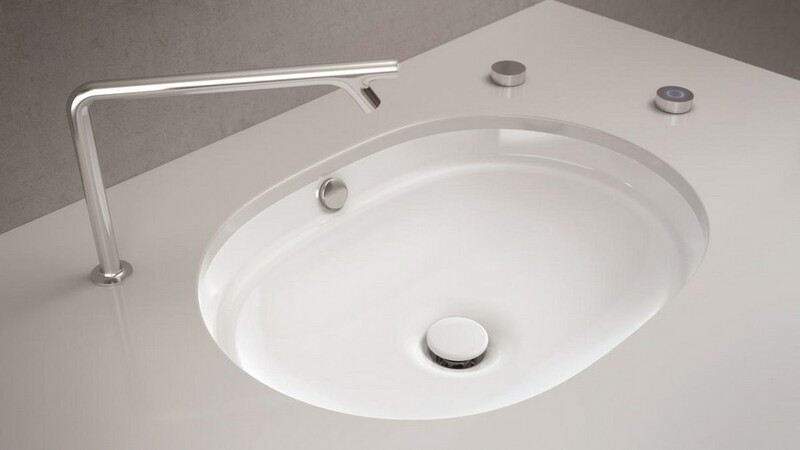 The Antoniolupi brand was one of those, which concentrated their efforts exactly on the design of washbasins. We selected the three most outstanding pieces to our mind, and the best thing about them is that they’re absolutely different. The first one is dubbed LAVANDINO, but in contrast with its melodic and romantic name it is made from a sheet of cold stainless steel and has very geometrically clear shape, with loads of sharp lines and angles. We guess it won’t be wrong to say that it’s even ascetic to some extent. 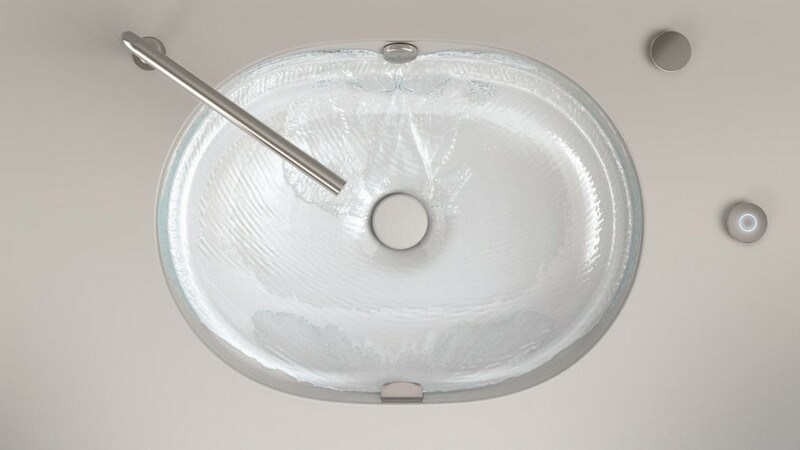 At the same time the water reflects and flashes in all of its inclined surfaces so beautifully that it gives this washbasin a noble gleam of precious metals. 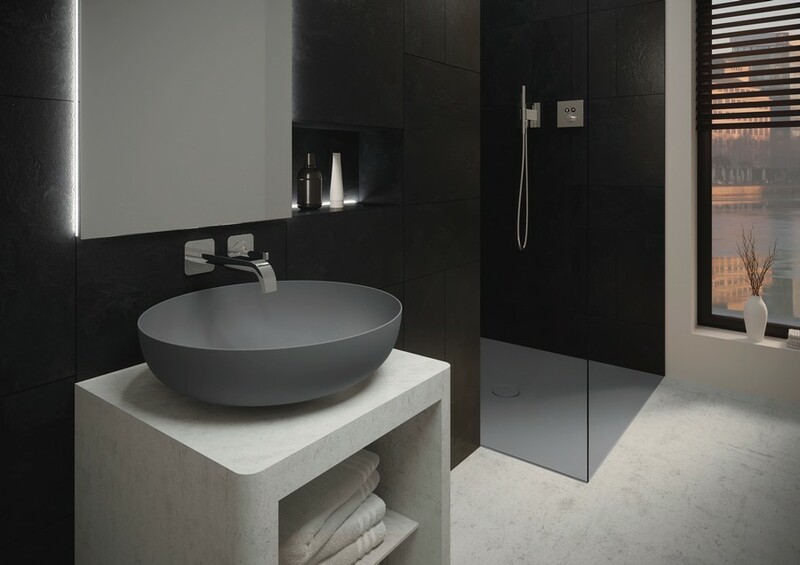 The SLOT washbasin is a nice piece of pure contemporary elegant minimalism. 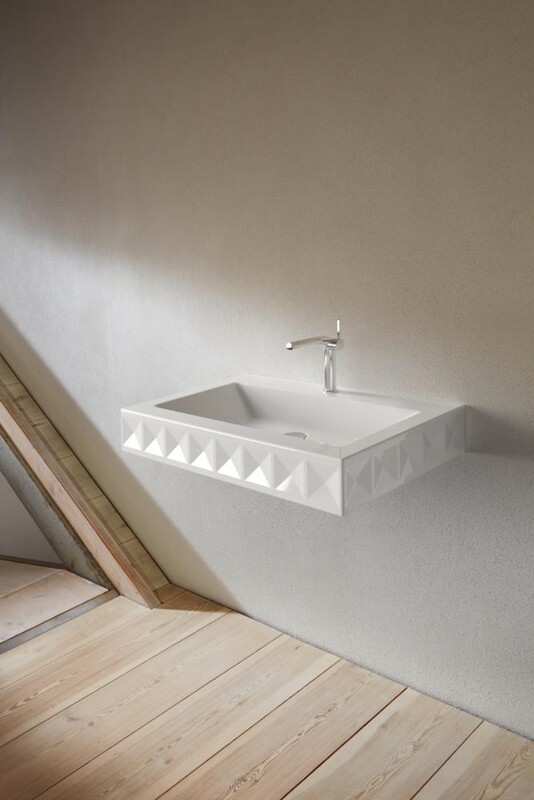 Made of the unique Corian material, it’s perfectly-shaped, with sharp edges, very pleasant to touch and pure white. Surprisingly you will not find any technical parts in it – neither a drain, nor an overflow – just a sleek pure white surface. The secret is in a thin opening in the rear rim of the basin: the water flows in it along the slightly inclined bottom of the sink (the inclination is not visible), and thus the image of the washbasin remains pure and absolutely clean. 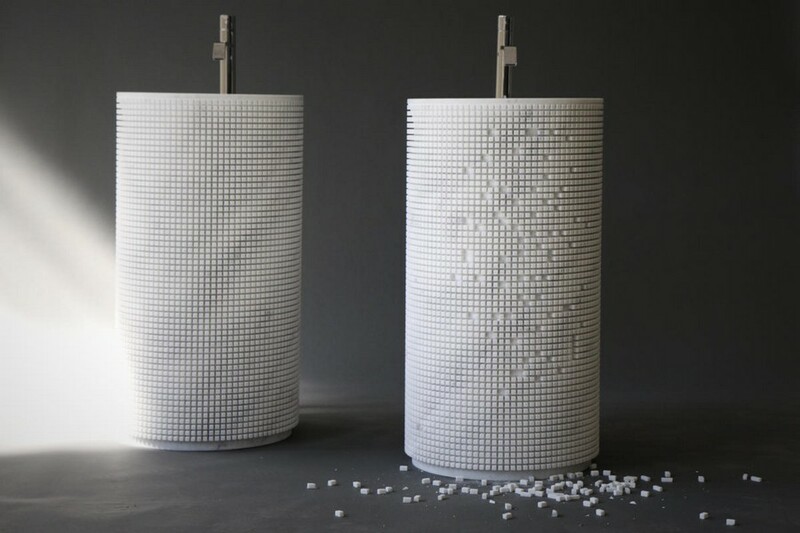 The name of this free-standing washbasin – PIXEL – says it all. This piece of bathroom art is intended to remind people that even such a tiny unit as a pixel matters; it is a part of a whole, of something big, nice and functional. This washbasin seems to be composed out of myriads of mosaic pieces and it’s a real pleasure to watch and touch it. The Bette Company displayed its new collections – BetteLoft and BetteLoft Ornament. 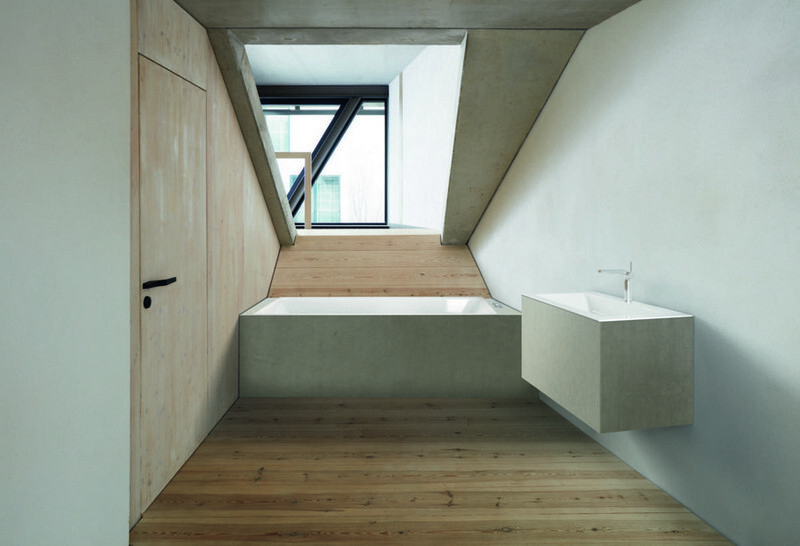 The former is represented by geometrically clear free-standing washbasins and bathtubs in minimalist style. And the BetteLoft Ornament is dressed up with a fanciful textured pattern that creates a spectacular play of light and shades and looks truly impressive. 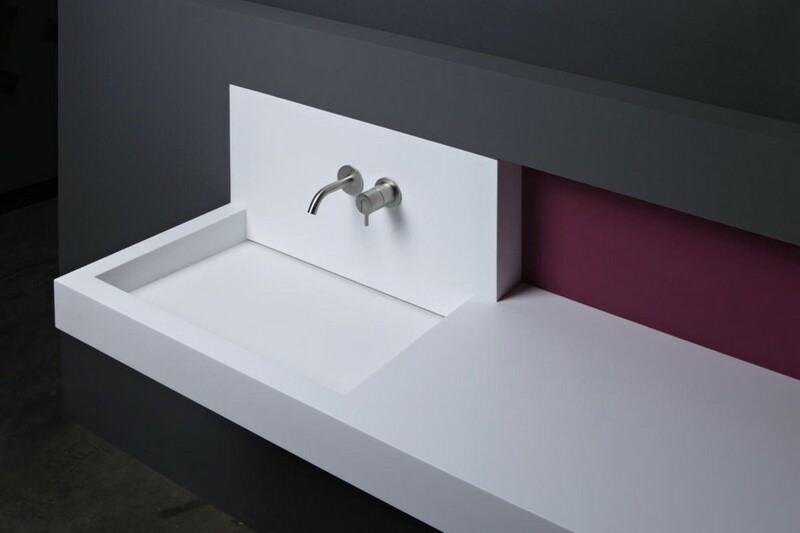 The new line of washbasins presented by the Alape Company is named Scopio, which is the Latin word for the “stem”. The collection includes 5 models, and each of them is based on the combination of two geometrical forms: a conical base and a round basin. The Kaldewei Company is inviting us to stop limiting ourselves to exclusively white color of sanitary porcelain. 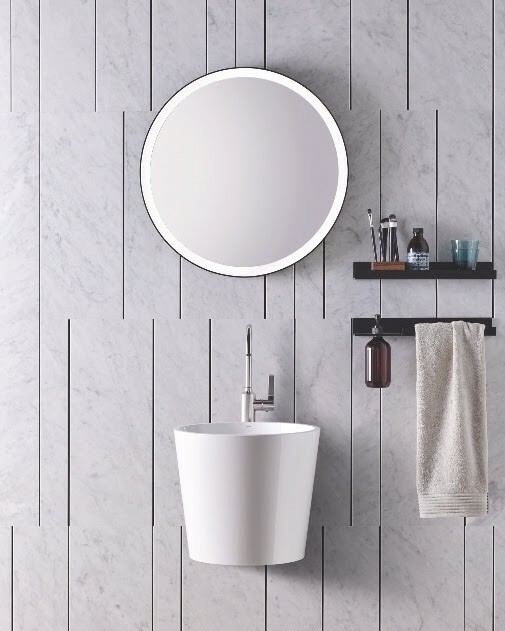 In its new Coordinated Colours Collection we find an improved sophisticated matte color palette: natural brown, gray, pastel cream and elegant black shades coupled with perfect glazed finishes of sanitary ware. 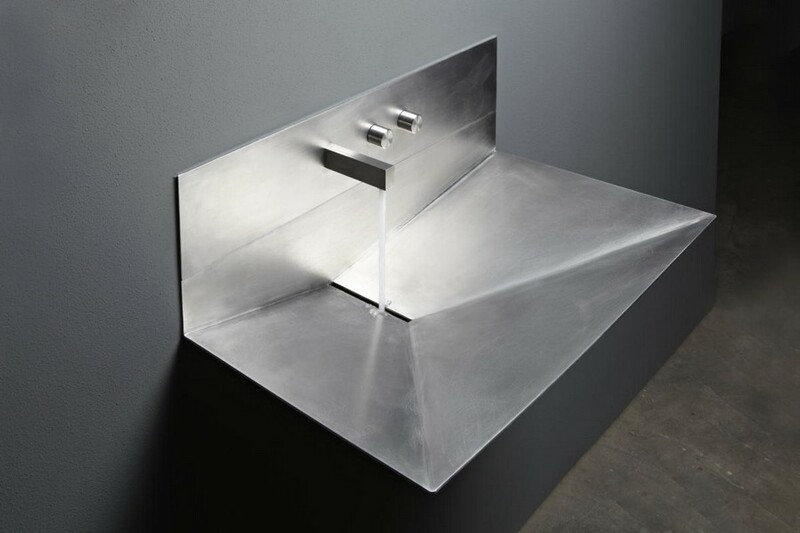 But one of the most entertaining novelties that one could see in Frankfurt was a self-rinsing sink by Vitra named AutoClean. More and more often we hear about innovative self-cleaning solutions for bathrooms, but as a rule they refer to shower cabins and toilets only. And let’s not forget that washbasins accumulate plenty of germs and get dirty pretty fast. In Vitra’s new sink you can start the mode of auto-clean manually or via a sensor. All that the smart washbasin needs to shine again is a liter of water, 5-10 milliliters of a cleaning fluid and just a couple of minutes. Convenient, isn’t it?